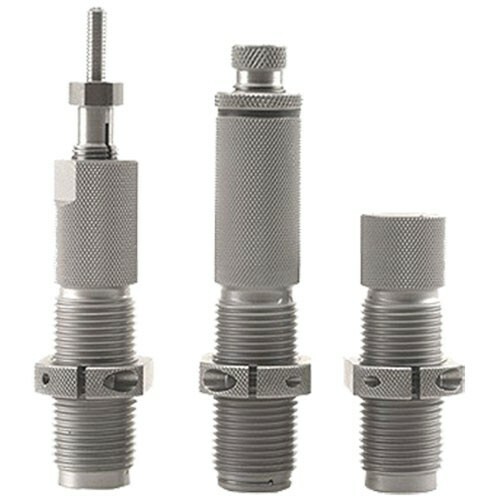 Designed for straight-walled cases, these sets include CGND Full Length Sizer Die, CGND Expander Die and CGND Seater Die. 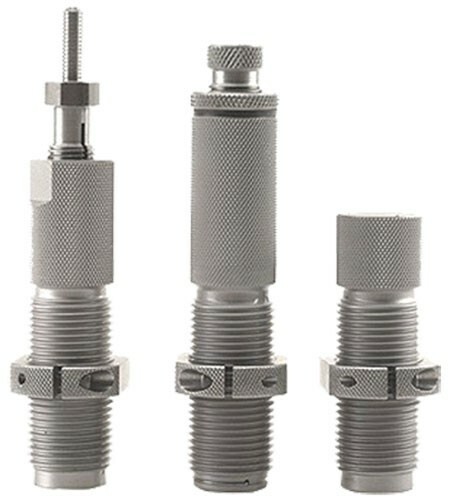 Full Length Sizer Dies feature a Zip Spindle with a series of light threads cut on the spindle and spindle collet to eliminate slippage and make it easier to tighten the spindle lock when making adjustments. Improve bullet seating and accuracy with the CGND Seating Die. Shellholder sold separately.